Feeding responsively helps babies to feel secure. They don’t understand the clock, only whether or not they feel hungry, or tired, or lonely. So responding to their needs helps them to learn to trust that the world – and you—will meet his or her needs. You can do this by learning to respond to your baby’s signs of hunger, tiredness or need for a cuddle – and doing your best to meet those needs. Responsive feeding is most effective, and easiest, when breastfeeding. That is because babies can take as little or a much breastmilk as they like. Breastfed babies are in control of how much milk they get, and that is why you don’t need to worry about overfeeding. You can learn to recognise the cues that your baby is hungry, and offer the breast before they get upset. You can also offer the breast because your baby is upset, tired or just needs to be close to you. Breastfeeding is a two-way relationship. You can offer your breast to your baby if you need to, whether that is because your breasts feel full or uncomfortable, or because you want to have some quiet, relaxing time with your baby! This way of feeding can help make parenting easier. Babies who are fed this way tend to be calmer. It can also help you if you feel anxious about your baby being upset as you can feel confident that you are able to offer your breast at any time and it almost always helps! There are lots of messages in our society about the importance of getting baby ‘into a routine’, and this is sometimes even considered a developmental milestone. For many babies this is a myth that is perpetuated by so called baby ‘experts’ and baby books/manuals. 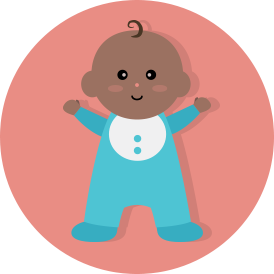 As baby gets older you may start to find that you and your baby naturally develop a rhythm. You will start to learn when you and baby are likely to want to feed, and this can be helpful in managing other activities or demands. Even so, there will be lots of reasons why that ‘rhythm’ might become interrupted, or change with baby’s changing needs. Responsive feeding also means responding to your baby’s needs at night. 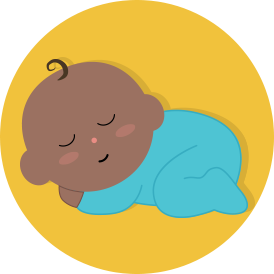 Babies often wake frequently for all sorts of reasons (too hot/cold, hungry, thirsty, being stimulated, needing a nappy change, or just needing a cuddle). Breastfeeding can help your baby return to sleep in almost all cases. It helps that breastmilk contains sleep inducing hormones! Keeping your baby in the same room as you will help you to recognise and respond to their cues for feeding. This is also strongly recommended as it helps to reduce the risk of SIDS or Sudden Infant Death (previously sometimes called Cot Death). Responding to your baby’s needs will not create a ‘dependent’ baby. You are not creating a ‘rod for your own back’. Research has shown that by being there to comfort your baby you will create a more independent and secure child. Research has shown that mothers who stay close to their baby, respond to their babies feeding cues, and don’t worry about routines are likely to breastfeed longer, and meet their breastfeeding goals.